Southwest Airlines said Thursday that a fatal accident on one of its planes has scared some people away from booking flights on the airline. 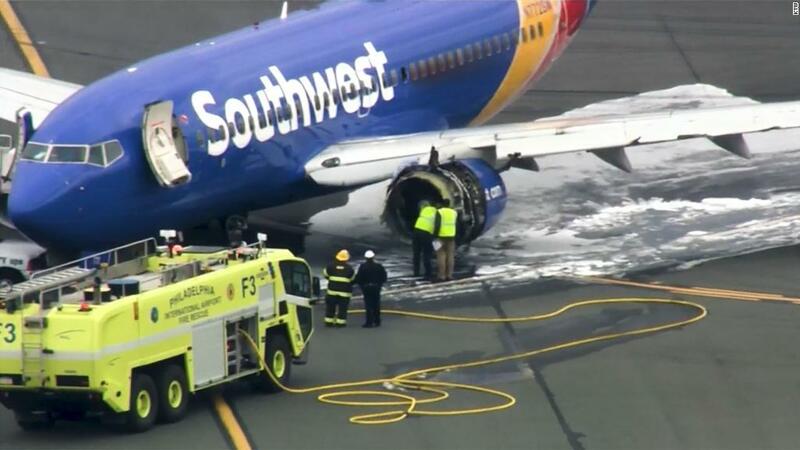 It reported seeing a "recent softness in bookings following the Flight 1380 accident." And it said that that weakness in bookings will result in slightly lower fare revenue in the second quarter as it tries to keep its planes full. A passenger died last week when a fan blade broke off the engine of a Boeing 737 and shrapnel shattered a window next to her. It is the first passenger fatality in the history of Southwest (LUV) -- and the first fatality on a US airline in more than nine years. "It remains a somber time for the Southwest family following the Flight 1380 accident, and our thoughts and prayers continue to be with the Riordan family, and all of our customers on the flight," said CEO Gary Kelly in the company's earnings statement. In an interview on CNBC Thursday, Kelly said that part of the drop in bookings can be attributed to the fact that Southwest has pulled all of its advertising since the accident. Those marketing efforts will resume later this week. "I think our business is holding up just fine," he said. "A little bit of softness is to be expected." He said that the airline has already completed inspections of the engines on 80% of its fleet to check for signs of metal fatigue in the fan blades. The airline reported slightly improved earnings in the first quarter, which was completed just before the accident. "We've never been a stronger position. We have very little debt, a lot of cash. A lot of fans who love Southwest Airlines," he said. Also on Thursday, American Airlines (AAL) lowered its profit forecast for the year because of higher fuel costs. The world's largest airline reported that increased fuel prices cost it $412 million during the just-completed quarter. The warnings from American and Southwest sent all the major airline stocks lower in premarket trading Thursday.